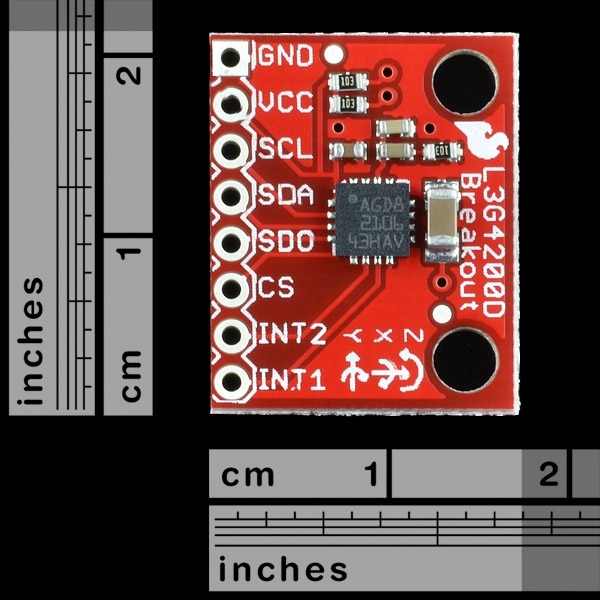 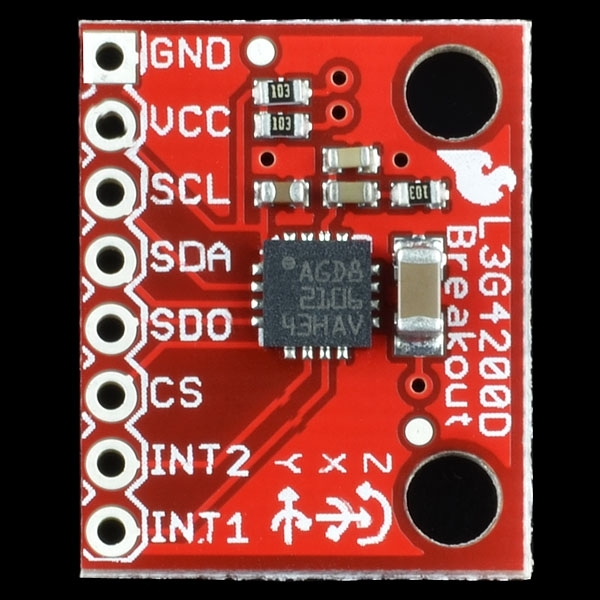 This is a breakout board for the L3G4200D low-power three-axis angular rate sensor. 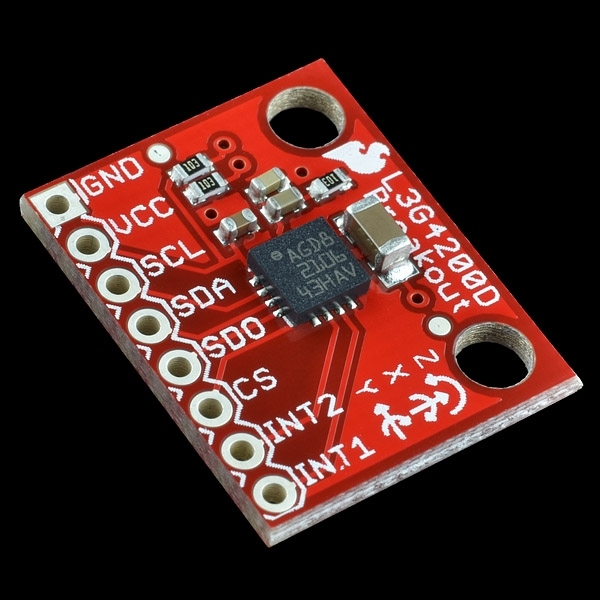 The L3G4200D is a MEMS montion sensor and has a full scale of ±250/±500/±2000 dps and is capable of measuring rates with a user-selectable bandwidth. 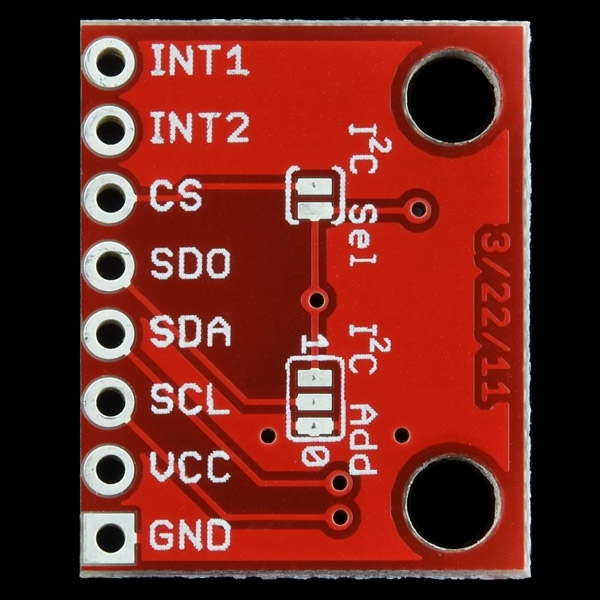 These work great in gaming and virtual reality input devices, GPS navigation systems and robotics.